We didn’t plan it this way but sometimes the timing just works… today is the 70th Anniversary of VE Day. It is also National Military Spouse Appreciation Day. We had a bumpy start and a few technical glitches but in the end, we’re thrilled with how this Challenge went. From the moment entries started arriving in 0ur e-mail boxes, we were awed and amazed by the variety of quilts – applique and pieced, simple and intricate. We loved reading the stories and every single quilt is a wonderful tribute to the quiltmaker. We are extraordinarily proud that so many of you wanted to join us in showing your appreciation for our country’s servicemen and women, and helping to support a terrific cause at the same time. Thanks to you, a very nice donation has already been sent to USA Cares. We would also like to apologize for any problems, frustrations and glitches that you might have encountered. We’re not sure if the problems were caused by the increased traffic, or if they were the cause – or even the result – of what might be robotic-voting. Whatever the reason, our tech-types worked their algorithmic-magic, tossed the bots and adjusted the final tallies accordingly. Some of you have been looking for this post since early this morning but we delayed it to allow Tammy to call the shops and give them the good news directly. We hope you understand. So let’s get to it… the first winner we’d like to announce is the Designer’s Choice. Stephanie Hove and Sandy Gervais chose Remember by Michele Van Graan, submitted by Stephanie Bradshaw of The Stitchery in Rome, Georgia. 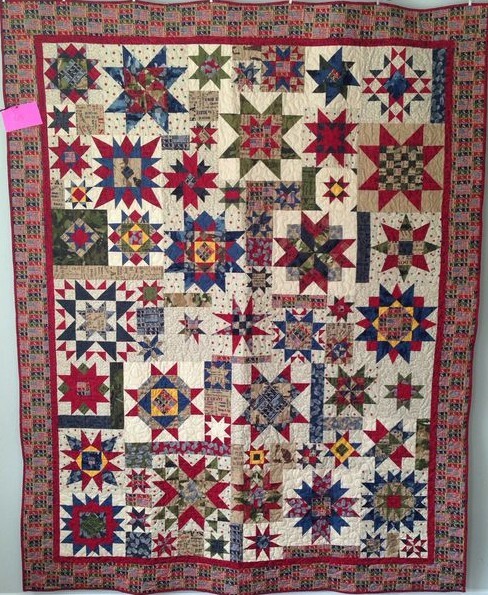 The First Viewer’s Choice winner is Battle Quilt by Shelley Daley, submitted by Dianne Ferguson, Maryann Westerberg and Carolyn Thompson of Honey Bee Quilt Store in Austin, Texas. 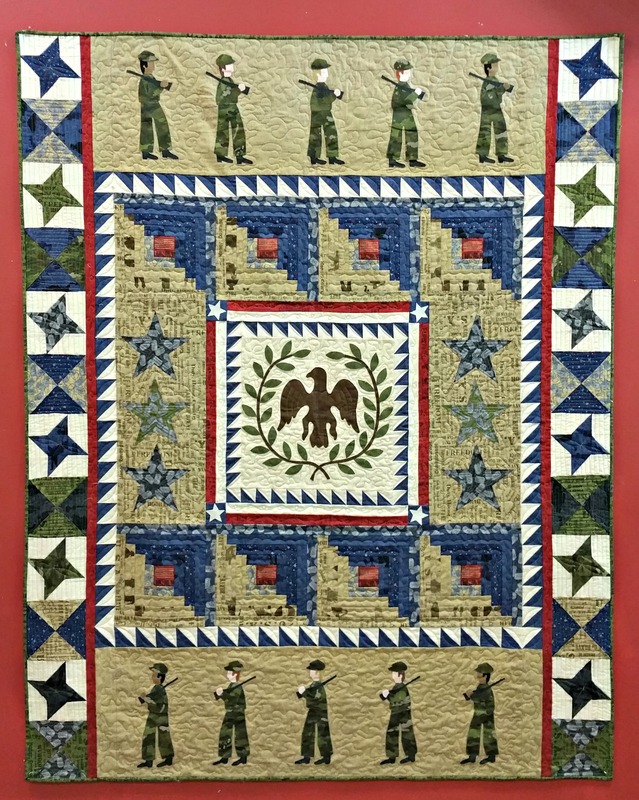 The Second Viewer’s Choice is Stars of Honor by Shelley Pagliai, submitted by Jessica and Jeanette of Sew Sweet Quilt Shop in Brunswick, Missouri. And our Third Viewer’s Choice is Toward the Fight by Lisa Allen, submitted by Cottage Fabrics in Lubbock, Texas. Thank you again to everyone – the quiltmakers, the shopowners who organized the contests in their shops and you, the voters. We are honored by your participation and support – every one of you makes us very proud. By Carrie NelsonIn Trending11 Comments on Piece & Comfort Rocks! All the quilts were so amazing. Thank you Moda for offering the Challenge. And a huge THANK YOU to Honey Bee Quilt Store in Austin, Texas, for being the most amazing store ever with the most fabulous staff in the quilting industry. Congratulations to all the winners! All I can say is WOW (oh and CONGRATS to the winners). It was fun to enter via my quilt shop Village Quilts in Canfield, OH. So many fabulous quilts! Congrats to the winners. Thank you to Moda for the gift for entering. about him, too. I think next years contest should honor the wives and children of those who serve. Thanks for sharing these wonderful winners. Every one of them is so beautiful. I don’t know how I would have picked a favorite myself.